Welcome to Westlake Golf, LLC! Since 2003, we have been the Lakeshore Area's center for golf clubs, accessories, shoes, custom fitting, repairs, and more! Of course, we carry the top brands in the game, such as: Titleist, PING, TaylorMade, Bridgestone, Tour Edge, adidas, Wilson Staff,FootJoy, and Callaway Golf! We are one of only 3 fitting centers authorized to sell Miura golf clubs, an ultra-premium, hand-crafted brand from Japan. 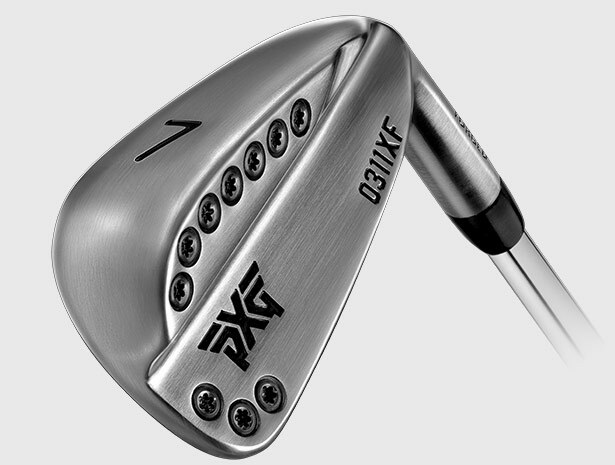 We are pleased to announce that we are now an authorized dealer and fitter for PXG Golf Clubs (Parsons Extreme Golf) and accessories. Call or stop in to learn about these premium-quality golf clubs! Custom fitting of clubs has been our specialty for years. Learn how properly-fitted clubs can help your game! Oh, and yes, we DO Take Trades! Some restrictions and conditions apply. Stop in for further information on trading in your old equipment. So, whether you are a beginner or seasoned player, we can help you with your game. Are you involved with a company or charitable golf outing? Contact us for information regarding custom personalized or logo golf balls for next event or sales campaign. Or, maybe you are in need of a higher-profile gift or award, such as a premium putter, driver, or a set of irons for a raffle, corporate event, or employee award or retirement. Call us and see how we can make it happen. State of the art indoor Golf Simulator! Play all winter long! 2-person, indoor winter league! Enjoy handicapped league play through the winter months and watch winter slip by! Play any day of the week during normal business hours. It only takes 1-hour to play your weekly 9-hole match along with your partner. Copyright 2016 Westlake Golf,LLC. All rights reserved.